When you submit a website for listing at Best Games Directory, you agree with the following general terms and conditions. Failure to understand and follow these terms may result in the rejection or removal of your listing. This is your responsibility to ensure that your site conforms to these guidelines. Sites not meeting these criteria will not be accepted and in the case of paid submissions, refunds will be offered only at our sole discretion. Please also view our Submission Guidelines for specific reasons, which explain basic reasons why your listing may be rejected. Please read Submision Guidelines for Regular Listings. Please read Submision Guidelines for Featured Listings. Please read Submision Guidelines for Homepage Featured Listings. 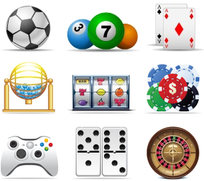 Best Games Directory is strictly a gaming, gambling, casino, lotteries, bingo or other entertainment oriented directory, containing listings and resources related to, or servicing the widely gaming and gambling industry. We do not accept content or submissions of any other kind. You are solely responsible for ensuring that the content and activities on your website are in compliance with all applicable laws and regulations. To the extent that pharmaceuticals and/or medical devices are offered or promoted on your site, you certify that you are a licensed health care provider or other entity authorised to prescribe, distribute or otherwise deal in such products in the jurisdictions in which they are sold. Best Games Directory checks the availability of submitted websites, from time to time. Submitted or already listed websites that are constantly offline or under never-ending development may, by our decision, be temporally disabled or removed completely from our directory listing pages. This is done to ensure accurate and reliable results when a visitor, looking for accurate information. Visitors to our directory search and look for valid information. Paid submissions (after removing from our listing) can be reactivated at any time by email request. Best Games Directory will try to contact (using the email address provided during submission process) the submitter of such sites well before any suspension occurs. Please ensure any information you enter into the submission email, is complete and accurate. We are going to do our best to check all submissions, but we cannot be held responsible for errors in listings that were made when, you provided such information. Affiliate URL are accepted as paid submissions only. Automated, semi-automated or robot techniques are cannot be used, in order to submit a website to our directory. You have to do it, using your valid email and answer the same way, when we write back, for confirmation of your submission. You can ask us to remove your submissions or listings at any time by simply sending us email, requesting such action. Any changes need of our re-approval. Any removal requests MUST be requested from the same email address used, at the time of submission, or email from the SAME domain as the submitted website. If you wish to cancel a paid submission, Best Games Directory do not offer any refunds. We may, at our sole discretion, offer you a refund or the opportunity to submit a new link for free. Best Games Directory naturally provide a repository of links and resources to external websites and services. It is inevitable that from time to time, some of these services and links will become unavailable, either on a temporary or permanent basis. This is completely out of our control and Best Games Directory cannot be held responsible for the non-availability of external content. All listings submitted to Best Games Directory are manually reviewed at the time of submission. In order to ensure that approved submissions only contain content that is suitable for a general audience, we check listed websites, from time to time..
Of course, it is impossible for us to verify the content of all external resources, on a continuing basis. We therefore take not any responsibility for the content type or quality, and cannot be held responsible if such content is not appropriate or in-offensive in any way. This includes damage that you or your computer may incure as a result of third-party websites. Where content of external sites does offend you or is of an inappropriate nature, please let us know by email, so that we can take relevant steps to remove such links from our listings. All payments are accepted using two reputable third party processors, mean PayPal and MoneyBookers/Skrill. When we receive a notification from them when a payment has been received, we will push forward, with agreed paid featured listing or advertisement. Refunds are made only when a genuine error has been made or when we reject your initial submission. 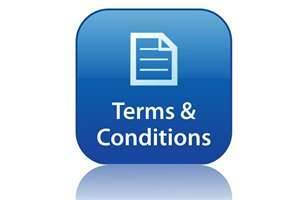 Paid submissions when approved and two sides agreed, are non-refundable and non-exchangeable for another listing.